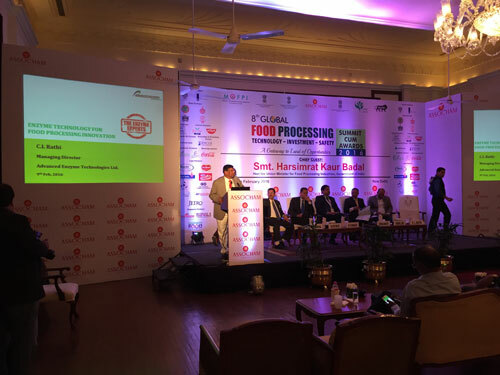 Mr. C.L.Rathi, Managing Director of Advanced Enzymes, shared the dais with other dignitaries as one of the panel speakers. 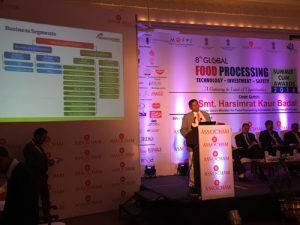 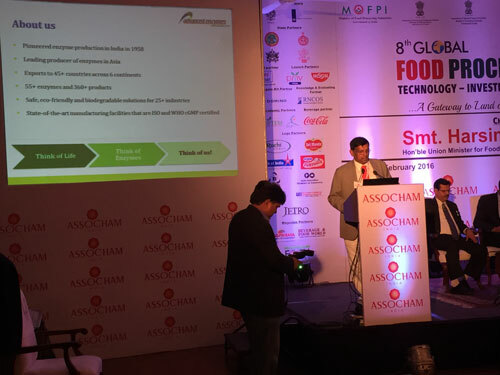 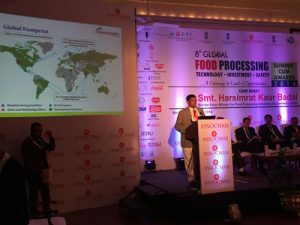 He delivered his insights on Food Processing Technology in the session titled as “Make In India – A platform for Investment opportunities in Food processing sector” at ASSOCHAM “8th Global Food Processing Summit & Awards” on February 9, 2016 at Hotel Imperial, New Delhi. 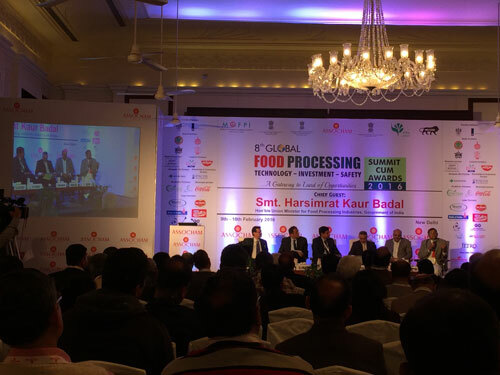 Advanced Enzymes being a Technology Partner played a visibly strategic role in this event of great significance.